Messi has taken an indefinite break from the Argentina squad after captaining them to the round-of-16. 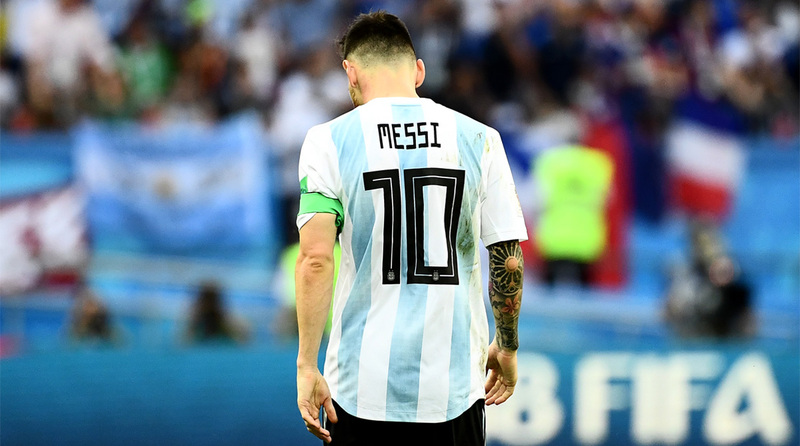 Claiming that Lionel Messi has given Argentina much more than he has received in return, Argentine Football Association (AFA) President Claudio Tapia said on Thursday that he will not put any pressure on the FC Barcelona star to return to the fold. “We have to be thankful. He has done a lot for the national team and we have repaid him in the worst possible way,” Tapia was quoted as saying by ESPNFC. Interim head coach Lionel Scaloni said Messi’s absence will be felt. “We miss him. But we have to let him be, in peace. He has to enjoy his family, his life. We shall see what happens later,” he told TyC Sports. Messi is yet to win a major trophy with his country despite competing in five World Cups and eight Copa Americas. The 31-year old has scored 65 goals in 128 appearances since making his debut with Argentina in August 2005.